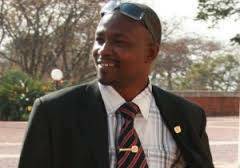 A Human rights organisation has expressed worry over the sentence given to former Malawi Deputy Minister of Agriculture Ellock Maotcha Banda saying it is too lenient and has urged prosecution team to appeal for a stiffer punishment. Director of Umunthu Foundation David Odali said six years is too lenient for abduction since the offender is a former lawmaker and he is supposed to be a very good example to society. Maotcha Banda got a six year jail sentence. He added that Maotcha Banda knew what he was doing when committing the crime and a stiffer sentence would have also deterred potential offenders. Maotcha who is also a former Member of Parliament for Machinga Central abducted a 17 year old girl early last year and he will serve his 6 year sentence at Zomba Maximum prison. Child abduction is a serious offence in Malawi as per Child Rights and Protection Act which attracts a maximum penalty of 10 years imprisonment with hard labour. Kwaine chilangochi nchachikulu potengera kuti nsungwanayo ndiwamkulu,ankadziwa chomwe amachita,anagwirizana simwana ameneyo. Guys nde a kuti 17 years child. Zoona a 17 years old person mukanene kuti child. Wamkulu ameneyo. Amazimva zomwe amapanga. A human rights ndinu opusa kwambiri.. Boma kuti limange wamathanyula apa mumati likuphwanya ufulu wa anthu. Apolice awombere ndikupha mbamva mukuti alakwa. Inu mungosiya boma lipange shaliya basi. Uwauze ahuman rights wo kuti atsekule ma court awo kuti adzizenga milandu anthu oterewa. Th man is being punishd for nothng bcs it seems they AGREED T MARRY.Men in trouble. Mukanamupha basi koma popeza mbamva za cashgate mukuzipatsa chilango choposa wakuba bakha ameneyo mutayeni. human rights group or bare footed human rights group?, i like sentence given to him….ifeso tili ndi ana akadzi…..mbooo zao….stupid. Me too!, am not happy with Maotcha sentence..Instead of punishing those who are involvd in cashgate scandal,, Holly ghost fireee!!!! !